LEWISVILLE, Texas, October 30, 2018 – Innovations in building science are enabling contractors, builders, architects and property managers to meet new performance and aesthetic goals. Insulated metal panels provide a simple solution with a variety of looks and appearances, combining both design freedom and functionality. This versatile product provides a simple solution for retrofit and new construction applications alike. There are several different options to consider when selecting a wall system. These variations impact the appearance, spanning abilities, texture and even thermal properties of the architectural panels. Insulated metal wall systems come in a variety of textures for greater design freedom and functionality. In some projects, a large field of panels needs some contrast to catch the eye. In other projects, a lightly corrugated profile with subtle striations delivers a clean appearance. Profiled commercial and wall panels can provide just the right accent with horizontal or vertical lineation. Striated wall systems also help mask imperfections by deflecting light, giving projects a more pristine, eye-catching appearance. A continuous polyurethane foam core insulation system boosts the energy efficiency of the building envelope, reducing heating and cooling costs. Keep in mind, deep striations in panels decrease thermal performance because they reduce the thickness of the foam core in the low points. 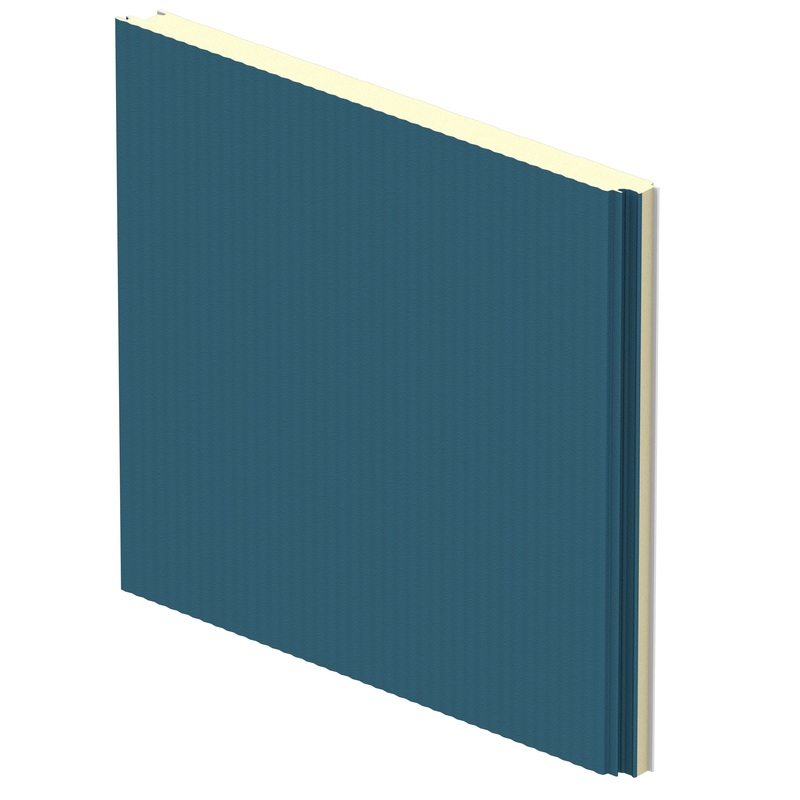 Striated insulated metal panels also have impressive performance characteristics that reduce installation costs. In fact, profiled panels with heavy creases and deep striations have better spanning abilities because the profiles increase the strength of the panels. Smooth panels lack the added strength and have shorter spanning capabilities. Therefore, some profiled architectural panels come in lengths up to 52 feet compared to smooth flat panels with a maximum panel length of 16 feet. Embossed commercial wall products have an orange-peel texture and warm, visually appealing qualities. Embossing helps obscure dirt and blemishes for a consistent appearance. Like striated panels, embossed panels have greater spanning abilities, and flat panels come in lengths up to 32 feet when embossed. Longer panels are advantageous because they typically have lower installation costs because they are quicker and easier to install. To ensure architectural panel durability, high-quality coatings must be applied. PVDF coatings provide excellent resistance from metal weathering over time for product protection. 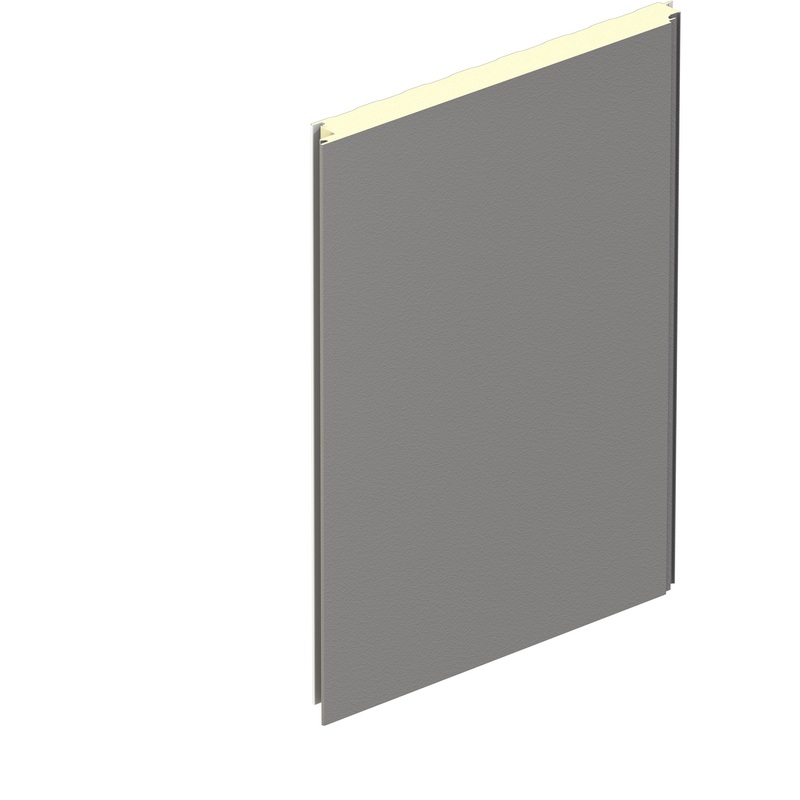 Flat, profiled, embossed, and smooth panels alike will stay pristine and attractive with quality PVDF coatings.